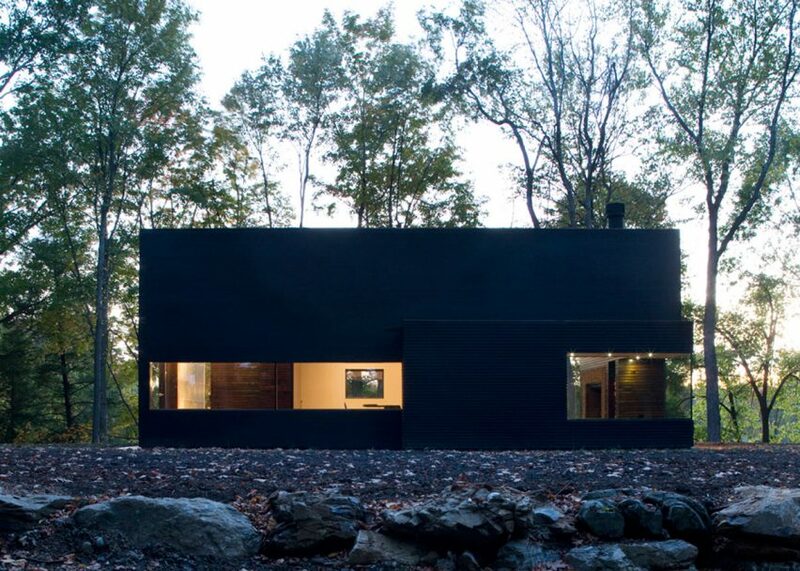 Next in our series of roundups presenting houses from different US states, it's New York's turn. The Empire State's top rural residences include a Hamptons home shaded with strips of canvas and a secluded writer's retreat (+ slideshow). 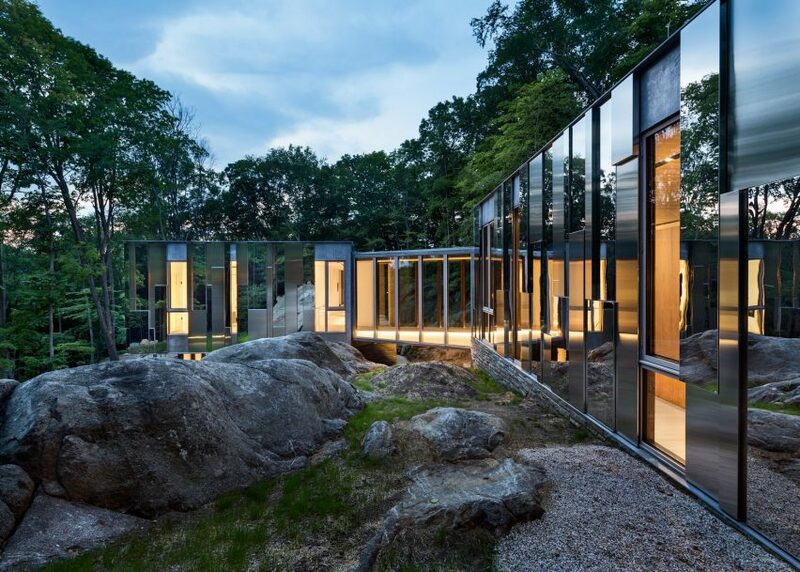 US firm KieranTimberlake nestled this home into a rocky outcrop, with mirrored cladding that reflects the forested landscape and sky. 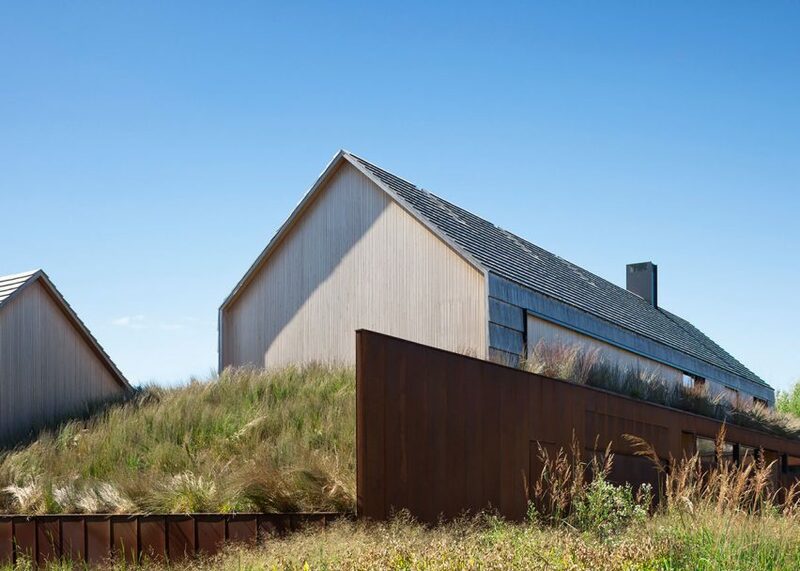 Bates Masi Architects referenced Long Island's traditional potato barns with this cedar-shingled home made up of several gabled blocks, which feature chimneys nestled into rooftop recesses. This small wooden hut is a combined guest house and sculpture studio perching on the edge of Lake George. 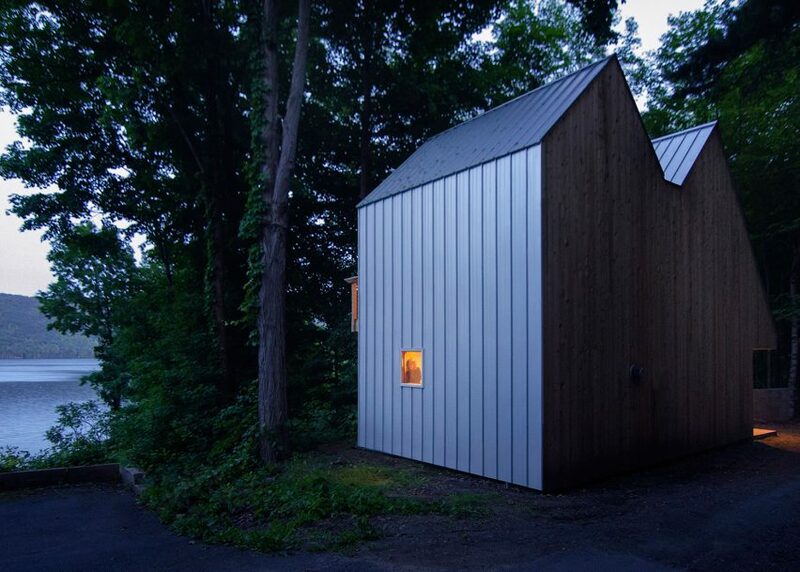 Budding novelists will lust after this upstate writer's hideaway designed by New York City architects Cooper Joseph Studio. 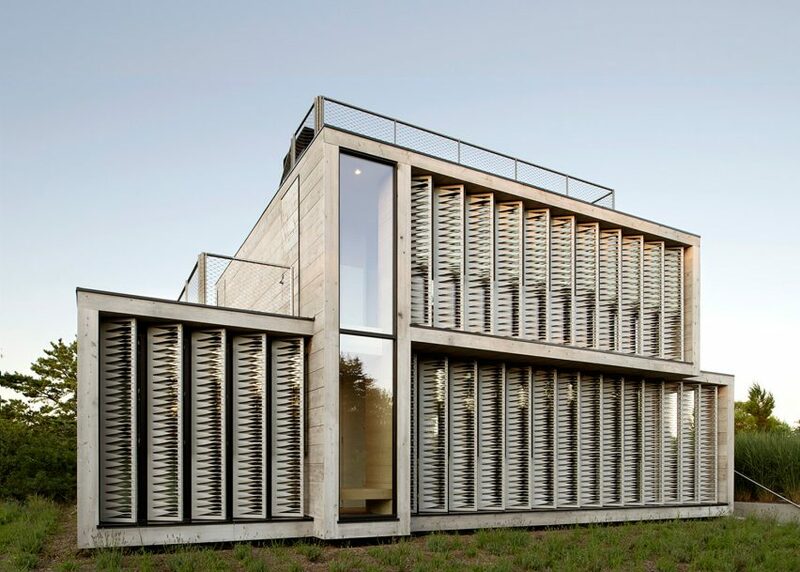 This house in Amagansett by Bates Masi Architects is designed to take advantage of its windy site on Long Island's south shore.